Earlier last week Eendhoorn released the competitive local multiplayer game ' SpiritSphere ' for the PC. It looks to have a number of inspirations from classic games such as Pong, Zelda and even Windjammers while mixing them up to create something rather unique and enjoyable to play. 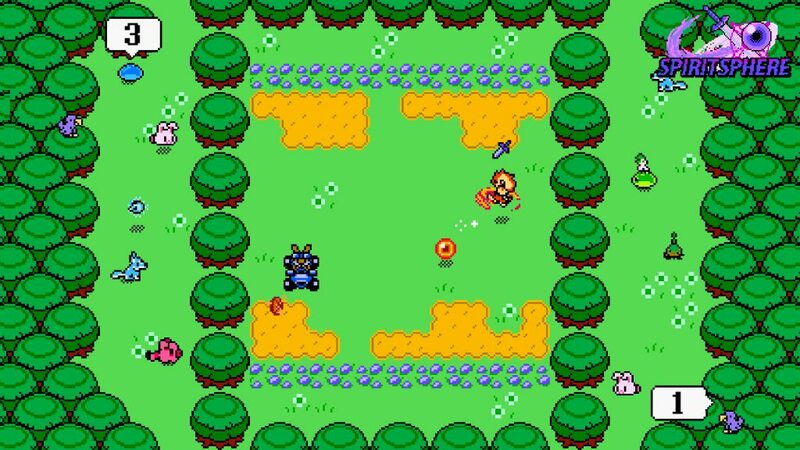 Featuring an 8-bit art style that sticks closely to the NES colour palette and a great soundtrack by Gas1312, you'll be battling it out in arenas set in a classic RPG world while picking up mighty power ups to help you or the person you are hoping to defeat. Developed using Unity and currently priced at $4.79 for the next ten hours, SpiritSphere is easy to pick up, but hard hard to master and can quickly lead to heated one-versus-one battles of wits and reflexes as you fight for each point. So pick from a multiple list of characters and hope the one you pick is good enough to be crowned the winner!